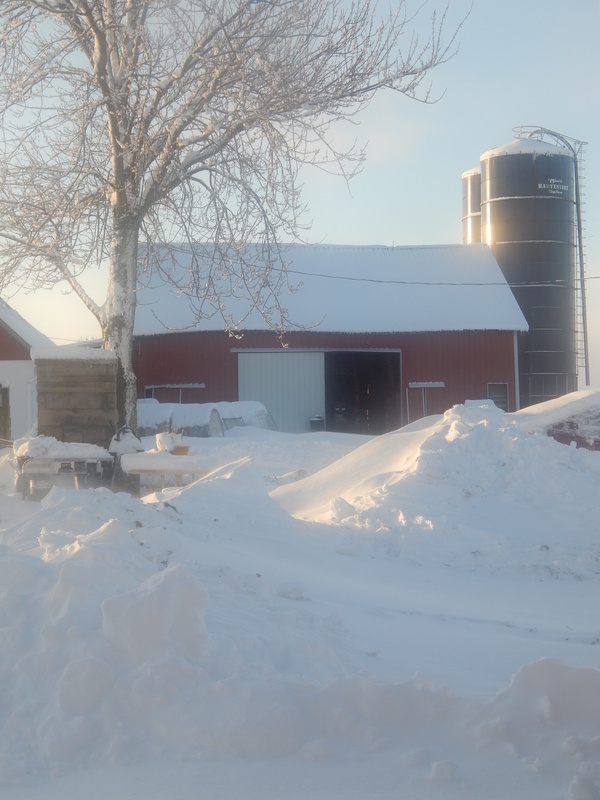 UPDATE March 10, 2015: The Apple Family Farm operations are officially closed. Thank you all for your support throughout the past few years! 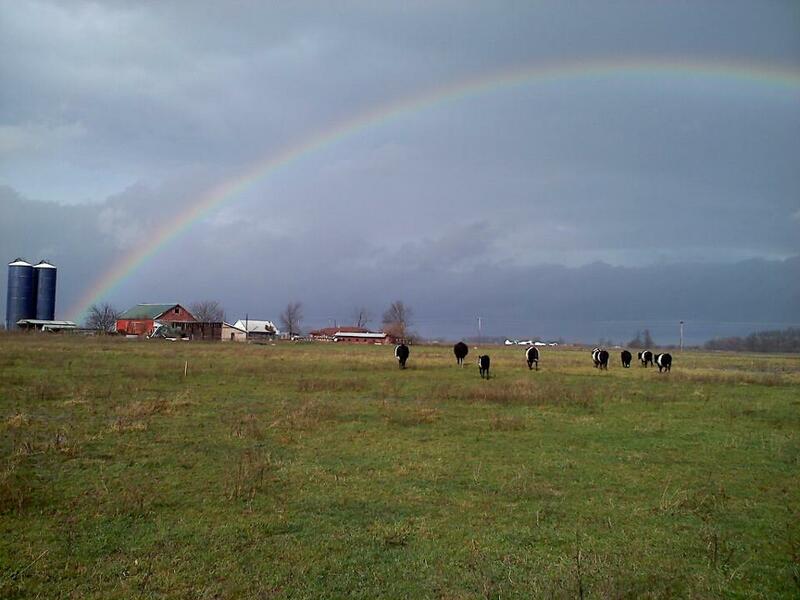 When searching out other farms for raw milk, make sure they are 100% grassfed. Unfortunately, most farms feed grains, which nullify the health benefits and alter the taste of the milk. Feeding grains will increase production, but will also adversely affect the health of bovine. For more information on the benefits of grassfed vs grains, check out our Health Benefits page: Health benefits to grassfed cattle. New Cow-Share Program in Morristown!! We are excited to announce our Dutch Belted dairy cows are relocating to Cotton Run Farm in Morristown, Indiana! 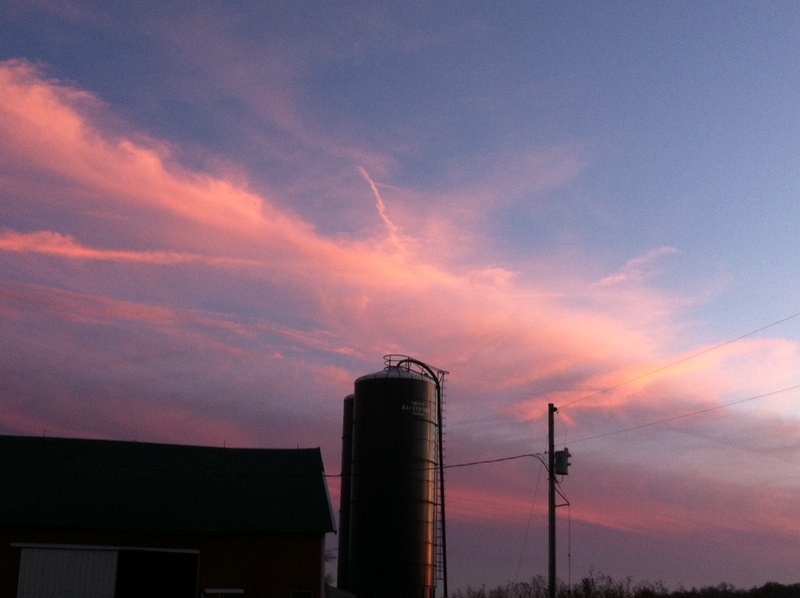 Our girls will continue to produce the best raw milk in the country under the skillful talents of the Linville family! The Linville family has dwelt on the border of Rush and Shelby Counties for Four Generations. Luther Linville grew up farming dairy and beef cattle just over the Rush County line, moving over the Shelby County line 17 years ago when he married Heather. They now have their own farm, which was cut out of the original Linville family farm, along with six beautiful children. Luther also runs a construction company, which comes in very handy when providing barns and shelter for his cattle. We are excited our girls will be able to live out their years on a farm with life-long experience, as well as the capital to continue providing essential raw milk! Cotton Run Farm also has an on-site farm market, carrying 100% grassfed beef, pastured eggs, seasonal vegetables, and a variety of natural and healthy items for your convenience. The Linville family are strong believers in growing vegetation and animals without the use of chemicals or pharmaceuticals. Check their new web site often as it grows daily. 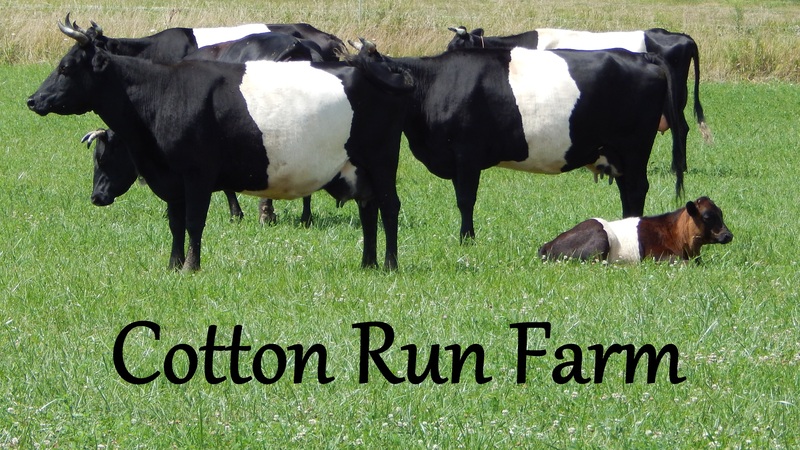 Check out their web site here: Cotton Run Farm, and be sure to check back often as they update with news and pictures. Morristown, Indiana may be closer to some, but for those who are farther away, acquiring the same raw milk from the same Dutch Belted cattle will be well worth the extra drive! When signing up for your new cow-share, be sure to let the Linville’s know if you need to connect with others in your area to car pool, share pick-ups, and save on gas. They are keeping a connection list to help in any way possible. We will continue to provide raw milk for our cow-share owners at our farm until sometime in March, allowing time for the construction of a new milking parlor at Cotton Run Farm. Please contact Luther and Heather to sign up for their cow-share program, which will mirror our program, keeping within the guidelines of the state laws. They will also keep the same pricing, which is under the national average. Their web site has cow-share info here: Cotton Run Farm Cow-Share Info Please contact the Linville’s to reserve your share today! We regretfully have sad news to pass along: our venture here on the farm is coming to an end. There are many circumstances that have led to this, and they all are playing out in a way that is bringing this to a completion likely by the middle of December 2014. It has been heading this way for a few months, but I have put off in publicly announcing this until now because of the deep down hope that things would somehow work out. We apologize for the abruptness due to putting off this announcement. On one hand, we have been so blessed to have continued this long. We have operated for the past few years with more liabilities than assets, and have somehow survived. We’ve been the recipients of many blessings, miracles, and encouragement from a few families that have acted more as underwriters than customers. We believed that we could climb out of the financial hole I found myself in several years ago, but things haven’t turned out as hoped, and in the necessary time-frame. With continual tax increases and as equipment replacements and upgrades are beyond reach, we do not have the capital to wait until the ship is righted. Operating this long on a shoe-string budget is nothing less than God’s miracle of provision, for which we give Him all the praise. This venture has been extremely fulfilling, and we have considered this more of a ministry than a job or vocation. Our prayer has been that everyone that has come to the farm has been blessed, not only with nutrient-rich food for your bodies, but even more that you sensed the presence of God. Our desire is that you know that, whatever you will ever go through, that God loves you personally and has a specific plan for your life that is beyond your hopes and dreams. He will walk with you in all circumstances and give you the peace that is beyond all understanding. We believed this was a high calling as we realized that when God created everything, He said it is good. We as a society have messed up our food system; it became so obvious that the way back to restoring our health is to get back as close to creation and the systems our Creator developed for our benefit. One of the things that often kept us pressing on in the past was the many testimonials of the great benefits of real milk that many of you have shared. Once set free from many ailments, we did not want to leave you without a way to obtain milk. But, now there are other options available to you. The Swiss Connection is the only farm that we are personally familiar with and strongly endorse Alan, Mary, Kate, & staff. They are seasonal. You can find raw milk info at www.realmilk.com, Indiana Real Milk Finder, or Eatwild Indiana Locator. Although the store has been successful, we will be unable to continue without the beef production, a by-product of the dairy, as the two are interdependent. We encourage you to continue supporting a couple of our preferred local farms, products we have carried, Tyner Pond Farm and Hidden Pond Farm. We have appreciated each and every one of you and pray for continued endorsement for foods that are natural, foods that heal, and foods that are real. While we really need to play catch-up on our blog, this article, although long, is worthy of our attention: Farmer Joel Salatin. He uses common sense and integrity on our food system. He states, “When the government stamps “Approved” on a product, it immediately takes the responsibility off the buyer and creates ignorance. Government approval or licensing creates ignorant consumers, regardless of the commodity being purchased.” This statement describes the essence of our culture. We have become a dependent society, not wanting to take responsibility for ourselves. If only we realized how much better our lives would be if we educated ourselves and made our own decisions. We encourage you to invest your time in this article. Clink on the link above, and also search and investigate for yourselves the devastation of our food system. We want to wish you all a very blessed Christmas! This is the day that the world acknowledges that our Creator, the Word, the son of God, stepped into our messy world, to love us back into His family. We want to reiterate that this is why we exist, and the reason we have farmed the way we do. Understanding that our land and animals have been created with a purpose gives us a high calling to care for and manage them in a way that they are blessed, and as a result of that, you and your family are blessed. GMO’s and factory farming methods could not come from anyone with a worldview acknowledging our Father as creator, but only from an atheistic, evolutionary mindset. We just want to remind you, as well as ourselves, that not only our reason for existing is due to our Heavenly Father, but also our reason for living and working. We love you. Merry Christmas! Adoption is one of the greatest gifts. While adoptive parents feel they are blessing a child, the parents end up just as blessed. Both of us experienced the joy of adoption which created a passion for helping others. We have several friends who also have adopted and experienced the same joy. We even have a few cows that have adopted orphaned calves! Now, we have an opportunity to help a family who are in the process of adopting. The family who lives next to our farm are adopting two boys! The process is in the second year and they should receive the call any day to pick up their boys. Anyone who has been in their position knows the emotional roller-coaster created by all the legalities. Even if there is not a lot we can do to help, we can at least help with the finances to ease some of the emotional pressure and bring their boys home! 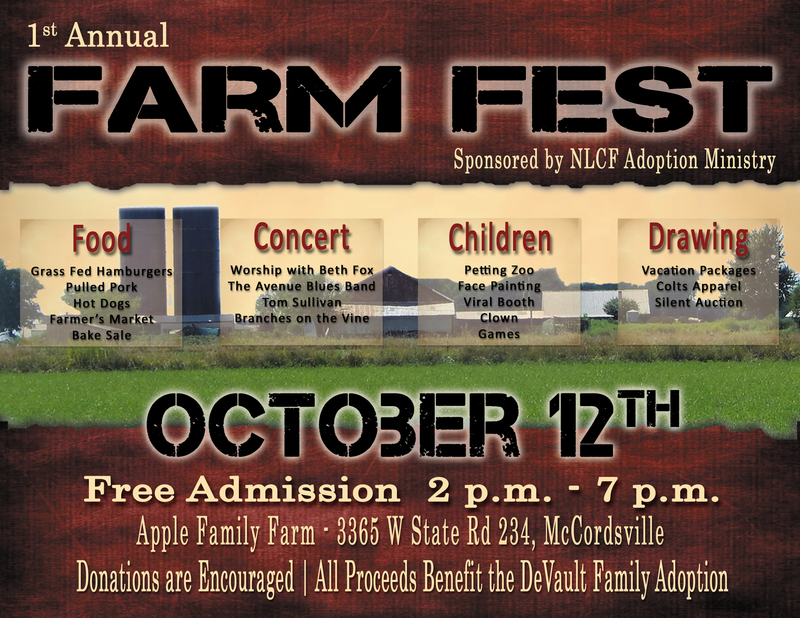 Our friends have gathered together to help bring a day of fun activities in a Farm Fest here at the Apple Family Farm! We have a great line-up of very talented musicians to provide a five hour concert, with music from Beth Fox, the Avenue Blues Band, Tom Sullivan, the all new Branches on the Vine, and more! Lots of activities for the kido’s to have fun on the farm! A cool clown will be visiting (no scary noses! ), along with a petting zoo and games. There will be a silent auction and a raffle to win three different vacation packages to three different destinations, as well as booths from local small businesses with their proceeds going to the adoption. We will be serving hamburgers made from 100% grassfed beef from our farm, pulled (homegrown) pork sandwiches, and beef dogs…and lots of desserts! Entrance to the event is free with donations for the food and fun to benefit the adoption! Come out to the farm from 2:00 – 7:00 on October 12th! You won’t want to miss this exciting event! We have been blessed with some very good friends who are helping us turn our garage into a “real” market. They are donating their time, as well as some of the materials. 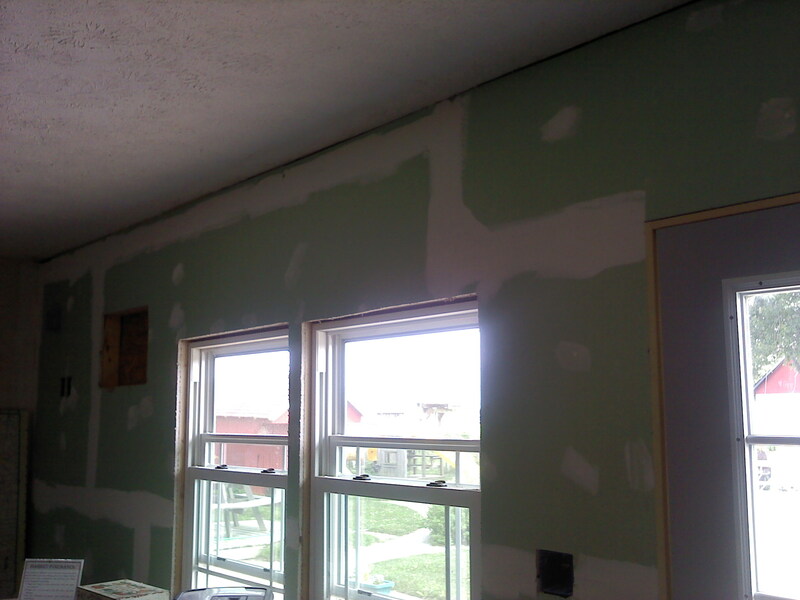 When they are complete, we will post pictures of their work…and it is fabulous! This last month has been challenging for Spring Valley Farm, where Moses raises the chickens that provide our wonderful eggs. A couple of varmints snuck onto the field where they are pastured and took out a few, thereby traumatizing the remainder of the flock. I believe I would be traumatized as well! After quite a bit of reinforcements to the pasture, they have finally settled down and are producing again. Our homeschooled families who were raising the chickens here at our farm ended their project in February. The flock, along with the turkeys and goats, are happily relocated at Piney Acres Farm. You will have to stop by and say hello! Our cows are bored without their humorous squawking as they were quite entertaining! The hay production is going well again this year! We are not through July, and have August to go, but we have had two good cuttings so far! God has blessed us! We hope you have a safe and healthy rest of the summer! Enjoy the sight of open pastures and Dutch Belted cows as you pull into this fifth generation farm. 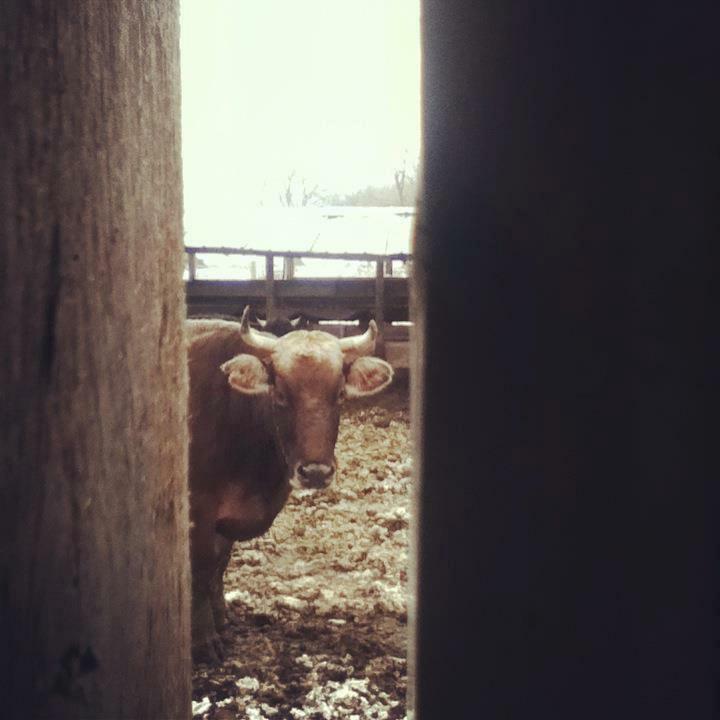 We specialize in grassfed beef, a raw milk cow-share program, and pasture raised foods from local farms. You’ll also be able to visit our on-site Farm Market featuring Indiana home-grown products. A list of our market products can be found here: Farm Market on the Apple Family Farm. Information on our cow-share program can be found here: Cow-share Info. While you shop your children can enjoy our Dutch Belted cattle peacefully grazing, or just walk through our century-old timber frame barn. 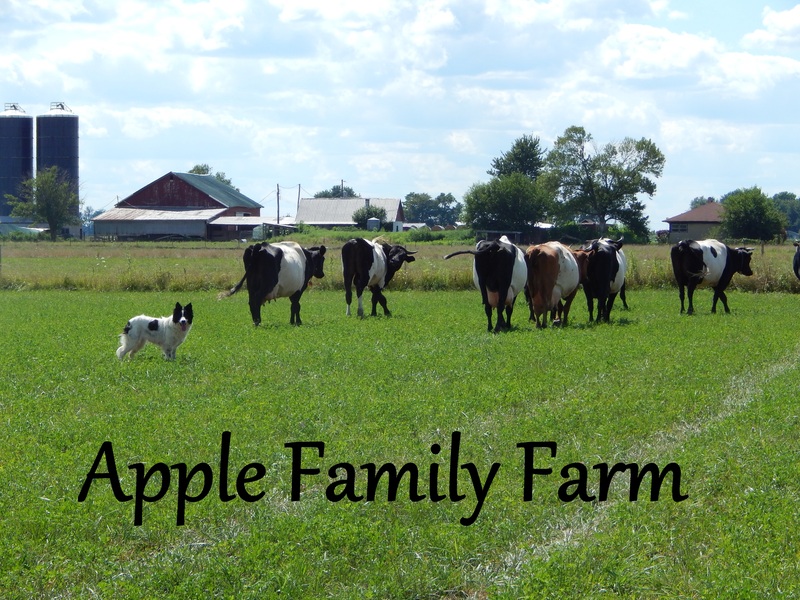 It’s life at Apple Family Farm…come on out and see us. Five people to claim our lands?